The president stopped in Calexico, California, where a plaque with his name on it has been installed on the new fencing. 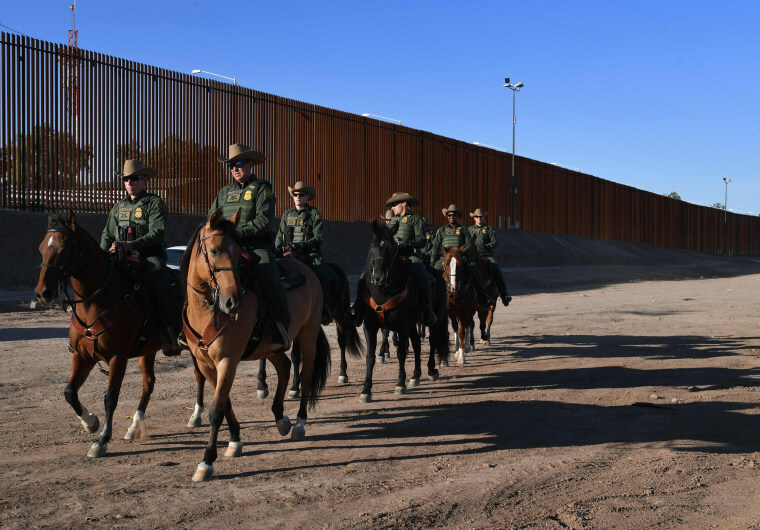 President Donald Trump made another visit on Friday to the nation's southern border, where he boasted of building a new wall in Calexico, California. That may come as a surprise to residents of the border city, who have lived with fencing for decades. In the 1990s, metal scraps and landing mats were recycled to build fencing. In 2009, Obama-era officials identified the project for an upgrade, Customs and Border Protection officials have said. The project was funded in Trump's first year in office. Last February, CBP said that they’d begun replacing 2.25 mile of outdated fencing built from recycled metal scraps and landing mat with 30-foot steel bollard fencing. The project was completed in October, and the White House has been touting it ever since. Trump's visit comes after the president walked back threats to shut down the entire southern border, instead saying he'd give Mexico a "one-year warning" to stop drugs from entering the U.S. He also said he would impose auto tariffs before closing the border. U.S. Secretary of Homeland Security Kirstjen Nielsen visited the Calexico fences last fall, and had a plaque attached to the fence. "This plaque was installed on October 26, 2018, to commemorate the completion of the first section of President Trump’s border wall," the plaque reads, below the presidential seal, Trump's name, and several officials' names. Trump campaigned on a promise to build a "big, beautiful wall," which he specifically said would not be a fence. During his first year in office, Trump signed an executive order calling for the wall to be built. He built and unveiled eight border wall prototypes in 2017. Some were concrete structures like he'd promised and some were steel fences like the border authorities had requested. All were demolished earlier this year. To date, the administration only completed the repair and replacement of older border fencing, all while claiming that the president's promise to build a brand new, concrete wall is being kept.